Is Your Convenience Store Missing Out on Savings Opportunities? Small format retail facilities face different operational challenges than supermarkets or other large format retailers. Applying a control system can help turn the challenges or problems these facility managers face into opportunities to reduce costs and enhance operations. Most convenience stores do not have system controls. 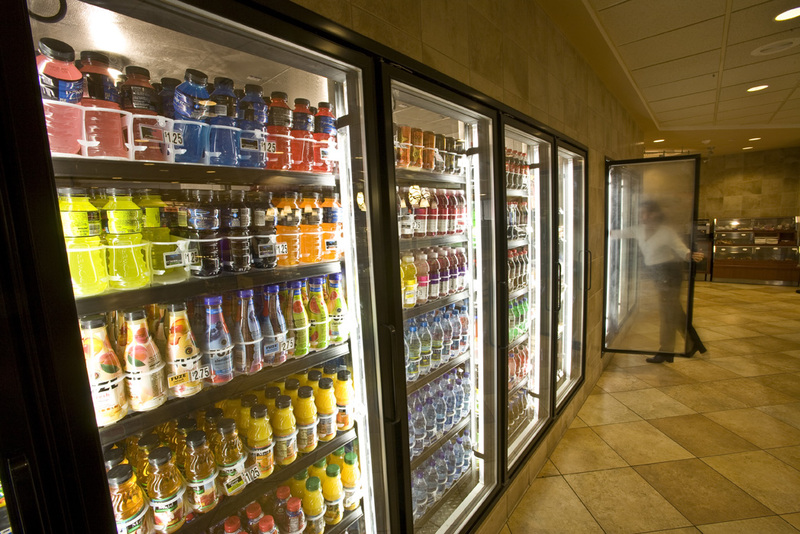 In a typical convenience store, the HVAC systems, refrigerated cases and lighting are managed separately and are not connected. The refrigeration system is often stand-alone and while thermostats are used, they may not be programmed to the correct settings. Manual processes may be in place to manage lighting controls. Limited visibility into store operations: If you are responsible for multiple stores, you may not have the oversight to know what is happening in all of your locations at any given time. Difficulty of enforcing store policies: You may have established business policies around lighting and thermostat settings, but how do you know that they are being enforced by the store manager and followed by personnel in a single store? Poor maintenance: Many facilities use a “run to fail” maintenance strategy, meaning that the equipment generally will fail without warning, leading to emergency repairs or replacements on short notice. Energy leakage: If a mechanical problem or personnel issue causes a store to stray from the policies put in place – for example, settings on a thermostat are changed or canopy lights are left on throughout the day – this can lead to energy usage that is higher than necessary. If an average 5,000 square foot convenience store spends $62,000 annually on operational costs, they may spend 44.5 percent of the budget on energy and 17.5 percent on maintenance. If this was your store, how much could you save by addressing the problems above? A control system can provide a convenience store typically between five and 20 percent savings, depending on the current facility management in place. Control: The control layer includes the electronic elements within your case that have control algorithms to affect the HVAC systems, refrigeration systems and lighting. The controls include the inputs and outputs, the sensors and transducers, and the equipment interface. Supervisory: The supervisory layer provides visibility. This layer offers user management, user interface, access to monitor the system remotely, alarm management and data logging. Enterprise: The enterprise layer is the connection from the sites to the cloud, where the data collected from the systems in your stores can be stored, compared and analyzed. Many people think having controls and stopping at the first layer is enough, but that’s not the case. It’s important to apply the entire system to manage, monitor and optimize your small format facility. Interested in learning more about control systems for convenience stores? Look for future blog posts on this topic here over the next several weeks. And, if you have specific questions, please email me at John.Wallace@Emerson.com. 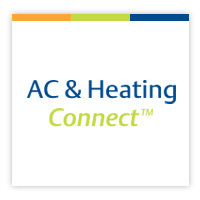 Air conditioners, furnaces and heat pumps all have different regulations and different rating criteria. It is important to keep these ratings in mind when you are comparing various systems from different manufacturers as they will tell you the true performance characteristics of each. Because these can be confusing to read, below is a brief summary on the ratings and what they mean. SEER – This stands for “Seasonal Energy Efficiency Ratio” and is simply the average efficiency at which your central air conditioner will run during various conditions. An average is used because the efficiency performance will change from the hottest summer months to the warm spring or fall months. The U.S. currently has a minimum SEER rating of 13 for all central air conditioners. High efficiency systems are rated above 16 SEER and deliver the most energy savings throughout the year. EER – This stands for “Energy Efficiency Rating.” This is a peak load rating, which tells you how efficiently your air conditioner will perform on the hottest days. This rating is important to consider if you live in very hot, dry areas that remain hot most of the year as the system will be at or near peak load more often. EER’s range from 8 to more than 15 and should not be confused with SEER ratings. An EER rating over 12 is excellent. Some systems have very good SEER ratings, but are compromised on their peak load performance. If you live in a hot area you should evaluate both SEER and EER to keep your electricity bill low in the summer. If you are in a more moderate climate zone it would be better to focus on the SEER ratings. HSPF – This stands for “Heating Seasonal Performance Factor” and is a rating used to describe a system’s heat pump efficiency. These ratings range from 8 to more than 13 HSPF. As with SEER and EER, a higher number represents a more efficient system. If you’re using a heat pump with another heating source, such as a gas furnace, the HSPF will only be reflective of the heat pump and not the duel system capacity. AFUE – This stands for “Annual Fuel Utilization Efficiency” and is the standard efficiency rating for furnaces that burn fossil fuels like natural gas or heating oil. AFUE ratings are expressed in terms of efficiency percentages where the lowest efficiency equipment might have AFUEs of around 70% and the highest efficiencies are more than 90%. You may not realize it, but the United States has some of the highest minimum efficiency standards for air conditioning in the world. These standards were put into practice over the past 20 to 30 years as the adoption of central air conditioning in the U.S. was expanding rapidly. These regulations were required to make sure the increase in power used for air conditioning did not put too much stress on the electric power grid, and also to help reduce environmental impacts.